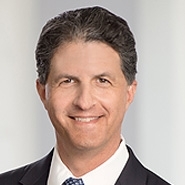 Patterson Belknap is pleased to announce that Daniel A. Lowenthal has been named as Chair of the Firm’s Business Reorganization and Creditors' Rights Practice. Mr. Lowenthal has earned recognition as a skilled advocate in the bankruptcy, creditors' rights, and corporate restructuring arena. He regularly represents U.S. and non-U.S. business entities in a wide range of complex litigation issues arising out of bankruptcy, including creditors right disputes, purchases of intellectual property assets, and distressed debt acquisitions and restructuring. Mr. Lowenthal has achieved numerous favorable results for clients in trial and appellate courts as well as commercial arbitration. Recently, he successfully defended former executives of a failed European bank against allegations that they had defrauded investors. Mr. Lowenthal’s practice is international, including the representation of an international financial institution a cross-border insolvency case as well as representing international creditors, including entities in the U.K., the Netherlands, and Germany, in the Lehman Brothers Holdings Inc. case. His clients include creditors' committees, trade creditors, indenture trustees, and bankruptcy trustees and examiners in domestic and international cases. A regular speaker on bankruptcy law topics, Mr. Lowenthal recently presented for the American Bankruptcy Institute, the Practising Law Institute, INSOL International, INSOL Europe, and the Association of Corporate Counsel. Mr. Lowenthal succeeds David W. Dykhouse, who has chaired the practice for over 30 years. Mr. Dykhouse, now Of Counsel to the firm, has extensive experience (in counseling, transactions and litigation) with the avoidance, treatment and exploitation of economic distress. 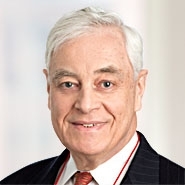 For many years he has advised and represented companies in a wide range of industries in connection with the present or possible future financial distress of business counterparties, as well as representing them and debtors, bankruptcy trustees and creditors’ committees in bankruptcy and other trial and appellate courts throughout the United States.